Harborview Rehabilitation & Health Care Center is a picturesque community for citizens of Carteret County and surrounding counties in Eastern North Carolina. 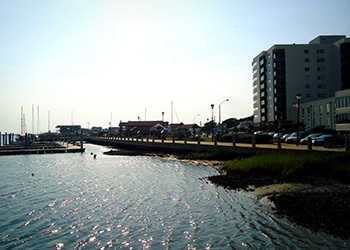 Located on the Bogue Sound, our residents benefit from the tranquil views and therapeutic presence that the Sound has to offer. Beginning with new management and some exciting renovations in the works, Harborview is in the process of undergoing major improvements and we welcome you to be part of our positive transformation. Here at Harborview Rehabilitation, we present an atmosphere that is calm and comfortable. We are a trusted partner because we listen to your needs, understand the life you want for yourself or your loved one, and create a care plan and living situation to make life the most comfortable and enjoyable. Our unique facility offers an exceptional range of social activities, recreational programs, and dining in addition to a full continuum of on-site medical services. The fact is, virtually everything you might possibly need, from comprehensive rehabilitation, optimum care, comfort and convenience are our priority and ultimate goal. We help residents recover with dignity while receiving compassionate care, personal attention and professional services. If you would like to learn more about Harborview Rehabilitation & Health Care Center, contact us today!